This entry was posted in Emily Stephenson and tagged Aaron Copland, American composition, American Music, correspondence, Henry F. Gilbert, Leonard Bernstein by Emily Stephenson. Bookmark the permalink. Great job with this! 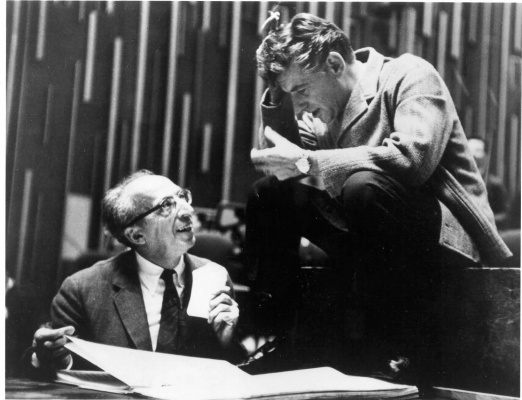 There are a few interesting primary sources here: Bernstein’s thesis and Copland’s letter. 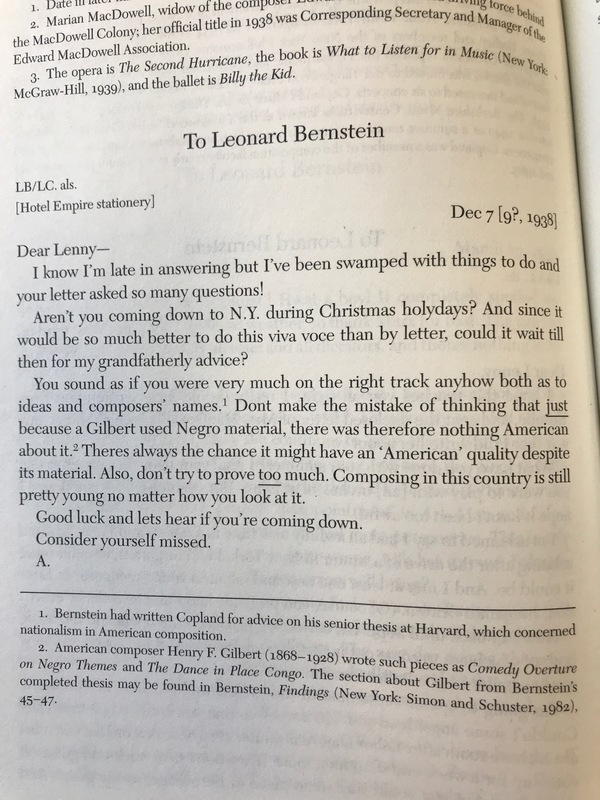 I wonder whether Copland’s embrace of “Americanness” beyond particular sounds represents the added maturity that 18 years difference can make. 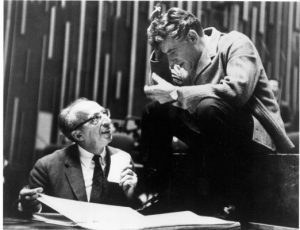 I suspect that Bernstein moved in that direction, too, as he got older and wrote such ambitious pieces as Chichester Psalms and MASS. 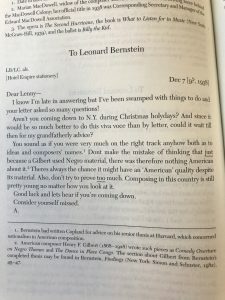 One thing to add to this: the page numbers where you found the quotes from Bernstein’s thesis and from the letter you cited. 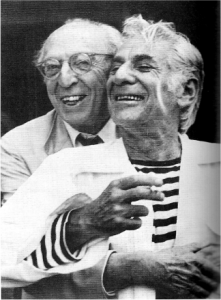 Thanks for sharing all of your fascinating research discoveries!